There’s nothing more inspiring for travelers than seeing other regular people travel. That’s why Nomad Wallet will regularly chat with real travelers about how they manage their time and money in order to afford this rather expensive hobby. My first interview features the lovely Anne Sutherland-Smith of the Pretraveller blog. This Aussie fell in love with traveling when, as a 7-year-old, she moved to Kenya with her family for 3 years. She started traveling solo before she could even afford it. She still travels now with her husband and three children, but she handles her money much more carefully these days. Anne, your family used to live in Kenya when you were 7. How did your parents cover your expenses there? My father was on a work contract in Kenya for a 3-year period. His salary covered our travel expenses. In your blog, you mention borrowing money for your first solo backpacking trip to Europe. Can you tell me more about this? For that first trip, I managed to save approximately half of the money I thought I needed. I took out a loan from my local credit union for the remainder. At the time, I was working full-time, so had no problems borrowing the money. It is over 20 years ago (Christmas 1992) now, so I don’t recall exactly how much the trip cost, but I don’t recall running over my budget while traveling — I remember doing a lot of research and reading books like Rick Steve’s Europe through the Back Door and maybe a Frommers Europe Guide (Lonely Planet for Europe did not exist back then!) to plan how much money I would need. Upon my return, I returned to my full time job and paid for the loan with that income. It took me approximately 2 years to pay off the loan. You’ve traveled to many other countries since that first trip. How did you fund these travels? After my first experience of borrowing money and having to pay it off for 2 years, I decided to never again borrow money for any trip. 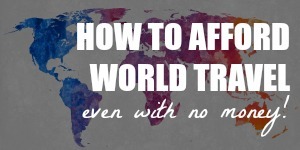 And so far I (and then we — with my husband) have been successful in sticking to this strategy: if we don’t have the money, we either don’t go or we descope our travel plans (location and/or amount of time away) to something that we can afford. I work as an engineer and my husband is a primary school teacher. Our travels are paid for solely by our incomes and we put money aside every payday into our travel account so we can pay for trips in the future. Since having children 8 years ago, there have been periods when I was the sole income earner, so it has been harder to afford travel as a priority. We still managed to do some trips in this time: we had a babymoon to Vanuatu before the term was invented; a family road trip to New Zealand; and another family road trip to outback New South Wales. We also make the effort to get out and about our local area on a regular basis. Small tastes of travel experiences help satisfy our travel urges while we save to do something bigger. I feel sad when I hear stories of people living somewhere without making the effort to explore the local area — particularly if it’s a place where other people pay large amounts of money to visit! Shotover River in New Zealand, where Anne decided to go jet-boating at the last minute — something she had already budgeted for. You’re the original couchsurfer / AirBnB-er, having done it in Europe before there was ever a website to organize such stays. 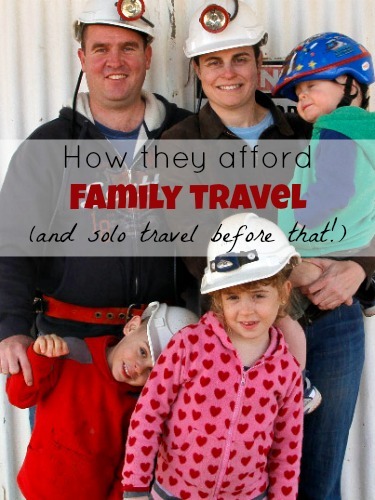 Now that you travel as a family, are there any unconventional accommodation options available? As a family, we usually book conventional travel options, although for future trips I intend to research more options like AirBnB etc. We still maximize our “couchsurfing” options – mainly by trying to stay with family and friends (or friends of friends) whenever that is an option. It is important to keep in touch with your network to maximize these opportunities, as you can save a lot of money. Whenever we stay with someone, we prepare some meals and give them a thank-you gift so they know that we appreciate them letting us stay. We also welcome people to stay in our home when they are in the area. Has your travel style changed with time? We have definitely reduced our travel aspirations since having children — it is just too expensive to do a big trip. As a family of five, we find that just the cost of airfares can be prohibitive to go somewhere exotic — let alone finding accommodation that will fit us and have a separate second room so the adults can stay up after the kids go to bed. 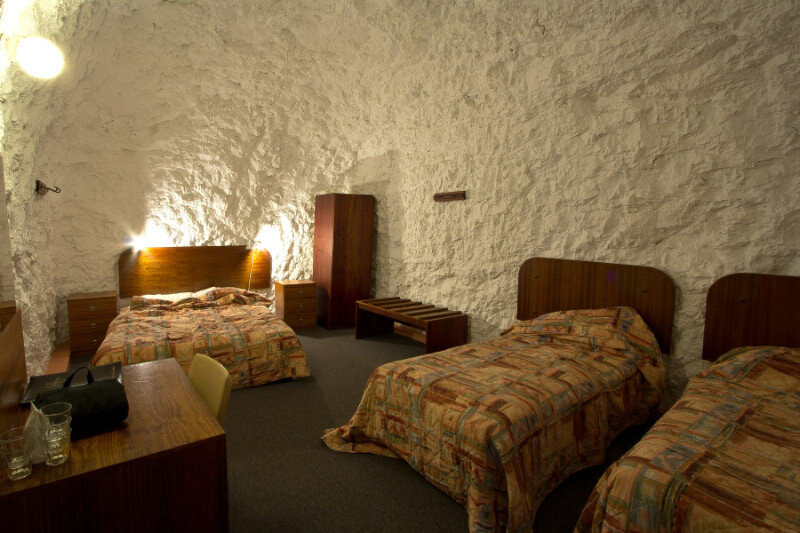 During a trip to outback Australia, Anne and her family shared this room at White Cliffs Underground Motel. For example, I recently did a cost estimate of how much it would cost for us to do a trip to the USA. Apart from just the airfares being at least $A7,000, the overall cost for a longer trip of seven weeks (doing it on the cheap as much as possible) would be approximately $A23,000! I also estimated that, for a shorter three-week trip, it would still cost us approximately $A18,000. I felt really uncomfortable about spending that much money for a holiday when, at the same time, we are also saving for retirement, when we would like to have the income to do a reasonable amount of traveling. So there is a good chance that we will not be doing that USA trip any time shortly (but I am investigating options to become ‘grey nomads’ in the USA/Europe in the future – it would be great to plan a USA trip where we have one or two years to visit leisurely). We are saving up and hopefully should be in a position to do another trip towards the end of next year. I have spotted one of the few cruise ships with interconnecting suites; I think we could do a 10-day cruise from Sydney for less than $A10,000. Anyway, we are probably going to be looking for holiday options under $A10,000 and we will only be able to afford them every two to three years. We are mostly still budget travelers but, as you can see, there are a couple of things that are “essential” as parents and lots more cost issues to manage! 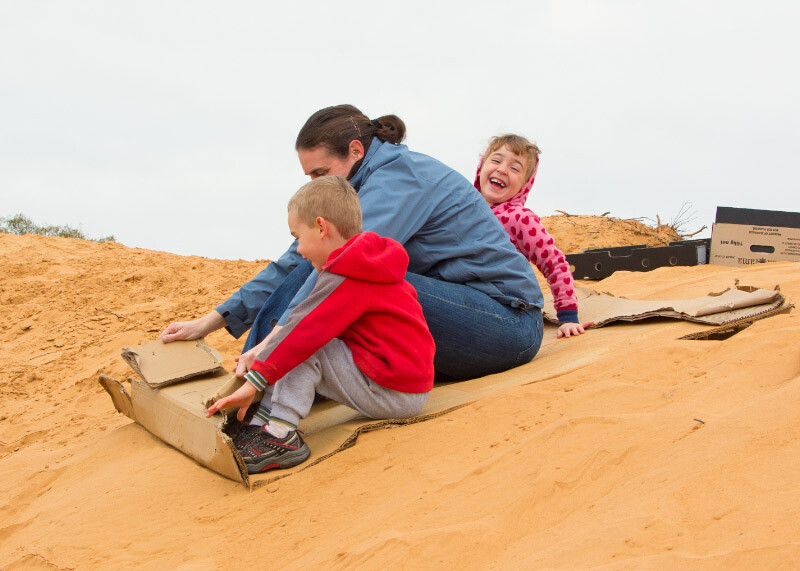 Anne and her kids tobogganing down a sandhill on a (domestic!) road trip. You planned for a seven-week trip? How much time off do you and your husband get each year? I get four weeks of annual leave per year — which is pretty standard in Australia — plus I also have access to a long service leave. Most Australian employers let you accrue three months of leave for every 10 years of service (you have to finish the first 10 years before you can access the leave). I am entitled to a long service leave, so I can mix and match my leave and “save up” annual leave across years if I want to do a bigger trip. I also have the option to “purchase” additional annual leave as well, but I am unlikely to use this option any time soon. You’re a self-confessed “spreadsheet queen” who details the cost of each travel option before making a decision. How do you estimate these figures? These days, I have a consistent approach to scoping out a potential trip. I have a standard spreadsheet that I use for every trip. I research things like airfares, car hire and other transportation online, and I also look up accommodation to find indicative cost we will need to pay for our family. For daily expenses, I find that looking up similar packaged tours with meals included is a good way to do an initial estimate. I can then go to guide books later to get more details on specific expenses. I also look up any premium activities we might want to do and include must-dos and maybes into my spreadsheet. 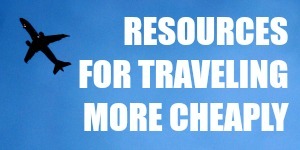 I can usually come up with a good estimate of the total cost of a trip with only a couple of hours of research. For example, for our NZ trip I knew we would want to do a helicopter flight over Fox Glacier, so I was able to look up the specific price and include it into my cost spreadsheet. 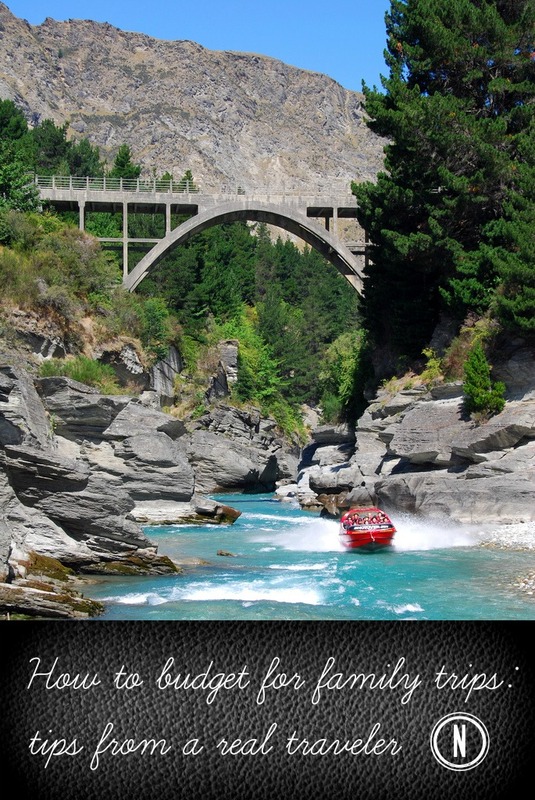 I also added an extra provision so that along the way, if we spotted something we really wanted to do, we would have the money available – in this case an outing on the Shotover River Jetboats in Queenstown was what we decided to do and we could do it without having to worry about whether we could afford it. The most important consideration for each trip is whether we can afford it – if we can’t afford it, we will either wait and save more money until we can afford it, or we will change to a cheaper trip option that we can afford. This approach is not negotiable. Your trip itineraries are some of the most detailed I’ve ever seen. 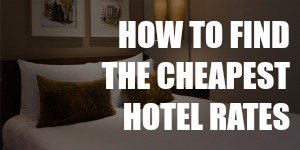 Have you ever deviated from the itinerary and how does it affect the cost of the trip? We have mostly stuck with our planned itineraries. We are happy to deviate if required (and have done so) but usually a deviation would be within our booked flights and work leave anyway, so it is unlikely to lead to a significant increase in costs. Again, if it is too expensive we will go to plan B or C etc. We travel to have fun; not to rack up a painful credit card debt. And we don’t always need to spend money to have fun. If you enjoyed this interview, please give Anne a shout-out on her website, Twitter or Facebook. I’m sure she’ll appreciate the gesture! Photos: 1,2,4,5. Anne Sutherland-Smith via Pretraveller blog; 3. Robert Young, distributed under a CC-BY 2.0 License; 6. Nomad Wallet. I’ve had to borrow money once – from my parents, when all my stuff was stolen towards the end of a trip. And I will borrow money once more – I’m doing a semester in Spain starting in January and the government here offers interest free loans added on to our university loans (which work much, much differently than they do in the US, so it’s no problem and I won’t have to pay it back for years). But I have and will never put a trip on a credit card or personal loan. I have friends who take a trip every summer (they’re teachers), but they put the whole thing on credit cards and then spend the year paying it off before doing it all again. I guess it works for them, but I don’t see why you wouldn’t take a year off and save prior instead. Oh wow, that sounds like a nightmare! Bet it makes for a good story now, after the fact. I agree that getting a student loan is different from getting a loan for a discretionary expense like travel. It’s always cheaper to just save up beforehand. The credit card interest on those trips must balloon over one year! And to do it again & again every year…all that interest added up over several years could probably pay for one whole trip. Thank you Deia and Ann for this great interview! I discovered the “babymoon” : ) And congrats to Ann and her husband to keep on traveling with 3 kids! Thanks for calling it a “great interview”! My head’s a few inches bigger. Anne is a great resource for family travel! It can be difficult to keep travelling once children come along but I think travel is more of a state of mind, that you are willing to go outside your comfort zone and get out and about to explore. Deia, thanks for sharing my story on your blog! All the best for your venture.